As the school year comes to a close, so does the spring season of Vulcan Athletics. 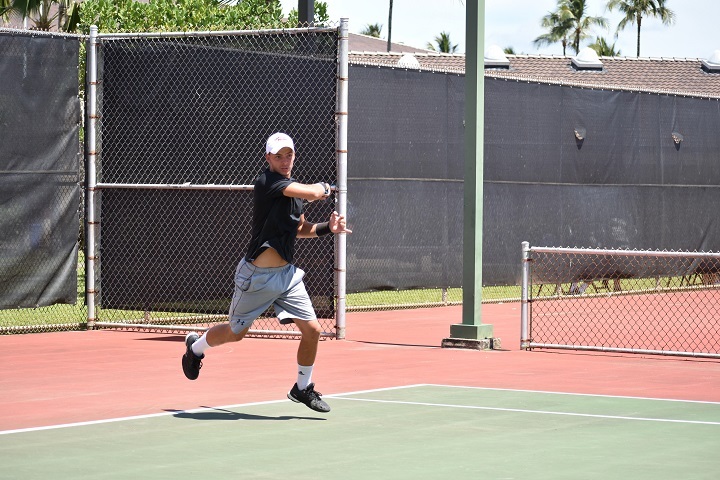 This spring has seen men’s and women’s golf, men’s and women’s tennis, softball and baseball all competing around Hawaii and the West Coast of the mainland. The ultimate prize: the PacWest trophy. It still remains to be seen whether any Vulcans can get their hands on some of this precious metal, but there is still much to celebrate as teams improve from last year, individual athletes shine, and seniors look back on their careers and look forward to the rest of their lives after UH Hilo. Golf is the only sport at UH Hilo that plays year round, so the spring semester consisted of just the second half of the 2016-2017 golf season. The men’s side played in a total of five tournaments throughout the spring. The Vulcans began with hosting the much anticipated Armer Ari Intercollegiate tournament in Waikoloa where eight of the top 25 Division I teams in the nation were among those competing. Texas Tech took the crown, finishing 44 under par. The Vulcans finished 21 in the extremely competitive field, 42 over par. The Vulcans traveled to the mainland twice, first to Northern California where they finished 14 at The Argonaut Invitational, and to San Diego where they finished 18 at the UCSD SoCal intercollegiate tournament. Their best result came in their most recent tournament on the North Shore of Oahu where they finished second behind BYU-Hawaii with an even par. The PacWest Conference Championships will be the last tournament of the season, to be played on the same course at Turtle Bay Resort on the North Shore. Women’s golf had a tough season of competition and came at the back end of the four tournaments they played this spring. The Vulcans started the spring season with a trip to Arizona where they played the Lady Rattler Invitational, finishing 18, followed by the St. Edwards Invitational, finishing in 15th place. In their only in-state tournament, the Vulcans unfortunately had to withdraw after the first round with top player Andi Igawa as well as Mariah Paiste falling to injury and unable to continue. The Vulcans finished the regular season in Arizona at the Mustang Invitational in 19th place. They now prepare for the PacWest Championships to finish of a busy year of golf. Tennis has seen a lot of new faces on the court this season. On the women’s side, international junior transfers Daniela Sanz Caseli and Sara Valero made up the top two in the singles lineup, as well as the top doubles pair; they were joined by three new freshman players. Only three players return to the team from last year. Despite a mostly new lineup, the Vulcans finished the season the same way as last year at 12 place in the PacWest, narrowly missing out on the conference tournament in a similar fashion to last year. The women enjoyed more matches this year but unfortunately to no avail, their record finished at 5 to 17 compared to last year’s 6 to 10. The Vulcans were much stronger in the top half, but lacked the depth needed to grasp more wins, with their top three singles players leading the win-loss ratios. Sanz Caseli had the only winning ratio finishing the season with 12 wins and 10 losses at no.1 singles. Men’s tennis has been the most successful of the spring sports, entering into the conference tournament in Arizona ranked fourth in the PacWest, up four places from their eighth place finish last year and has earned an ITA national Division II ranking for the first time in recent years, sitting at number 40 in the nation. Their success is in large part due to more international transfers, such as Vasek Slezak who was profiled in the last issue of Ke Kalahea. Slezak ends the regular season with an impressive singles record of 17 to 4, is ranked 29 in the nation and received PacWest player of the week honors this season. The other two international transfers Alex Fillat and Bruno Figlia also boast winning records at 12 to 8 and 15 to 5 respectively and have made a dominant no. 2 doubles pair with a record of 16 to 4. With Captain Daniel Tada being the only senior, the Vulcans have a promising 2018 season to look forward to, so watch this space. Softball has had a rocky season with the transition of new Head Coach Callen Perreira, their results have not lived up to last year’s successful fifth place finish in the PacWest and 21 to 9 in conference record. 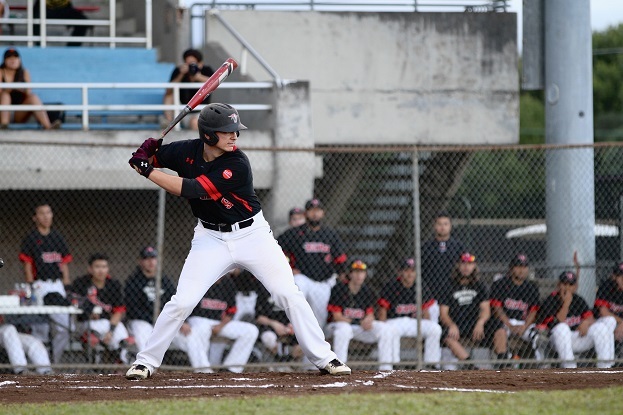 The Vulcans are sitting at eighth place this year and have a 12 to 12 in conference record, but with a seven game winning streak and eight games in Oahu left to play, there is still time left to turn it around. The Vulcans away record has been higher than at home this season although this may be largely due to scheduling. “When we returned [from pre-season], we had no scheduled games for three weeks then played eight games against the top four teams in the conference,” Coach Parreira said. “Basically that is why we have a better record on the road than at home.” Bayley Gasper leads the team in hitting with a .361 batting average, 13 in the PacWest. Gasper has won PacWest player of the week twice. Danielle Wilson is the leading pitcher with an era (earned runs average) of 5.12, 25 in the PacWest. Newcomer Brinell Kaleikini has been named PacWest Freshman of the week three times this season. Baseball has struggled to find winning results in recent years but with a few games left to play, the Vulcans sit in eighth place in the PacWest with an 8 to 18 in conference record, two places above last year’s tenth place finish and an improvement on a 7 to 27 record. With three series left in the season against California Baptist, Dixie State, and Hawai‘i Pacific, the Vulcans look set to improve on last year’s results. A notable highlight of the season came in San Diego in April against Point Loma when junior Phil Steering hit three home runs, the last of which was a grand slam (meaning all bases were loaded), in the ninth inning to bring about a 8-7 upset win against the Sea Lions. Steering has had an outstanding season at the plate with a batting average of .437, the highest of any player the PacWest. The last event of the year for athletics will be the annual athletic banquet to be held on May 2, where various awards will be presented, such as team, coach and athletes of the year, academic team and athletes of the year, volunteer of the year and many more. Each team will also elect a ‘Pono Vulcan’ of the year to a player they feel has best represented the Vulcan name and spirit. All the outgoing seniors will also be celebrated and acknowledged for all they have contributed to the Vulcan Athletics throughout their college career. The recipients of these awards, as well as final results for spring sports will be posted on the hiloathletic.com web page. Featured Article: Human Trafficking: Slavery in 21st Century? 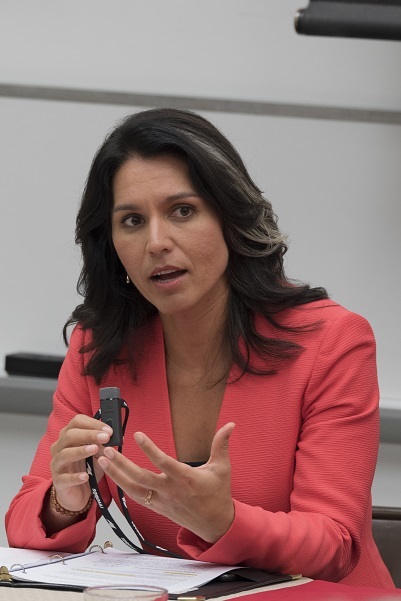 "Some Things... Are Just Meant to Be"
Human Trafficking: Slavery in 21st Century? Malama Ola: TB or not TB? What Happened to the Riso Funds?